Swanston Central will be completed in stages with the first stage settlement forecast for September 2018. The remaining stages are on track for settlement throughout 2019. The Swanston Central Settlement Team will keep you updated on settlement timing of your stage and advise of major milestones as they are achieved during the construction phase of the project. Construction Updates are available on our corporate website throughout the year. In the lead up to settlement, Hengyi has engaged Lovelight to measure and price installation of blinds in all apartments. 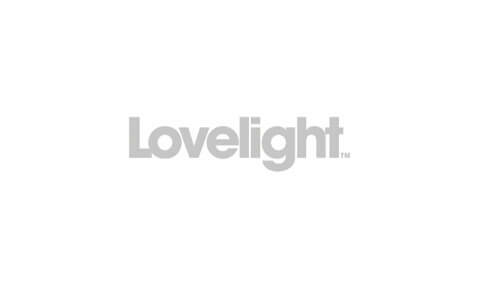 Lovelight has exclusive pre-settlement access to the building to obtain site measurements during construction meaning your products can be ready and installed prior to settlement. Please be aware all blinds must comply with the Owners Corporation rules and restrictions on the type and colour. If orders are placed prior to the cut-off date you will receive a 5% discount off your total cost. 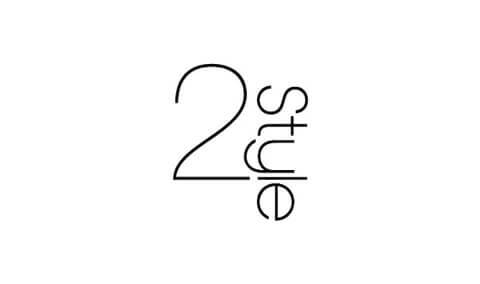 pre-settlement access allows us to install your furniture package prior to moving in, please refer to TwoStyle furniture link below for cut-off dates and discounts. Swanston Central Property Management (SCPM) is a professional and dedicated team of property managers specialising in long and short-term leasing for Swanston Central. SCPM offers a standout superior service to owners, ensuring peace of mind and comfort knowing your investment is in good hands. SCPM is the developer’s recommended leasing agent for the remaining stages settling at Swanston Central and as such will have exclusive access to apartments prior to settlement for leasing inspections. If you are interested in hearing more of what Swanston Central Property Management can provide, please register your interest here. Thank you for registering your interest in Swanston Central. A sales agent will contact you soon. Hengyi respects the rights and privacy of all individuals and is committed to complying with the Privacy Act 1988 and the Australian Privacy Principles and protecting the personal information Hengyi holds. WHY DOES HENGYI COLLECT PERSONAL INFORMATION? HOW DOES HENGYI USE IT? Hengyi generally collects your personal information as part of providing you its products and services, informing you about them, complying with its contractual and other legal obligations, running promotions and other marketing activities or administering Hengyi’s relationship with you by responding to your enquiries and providing you with information about Hengyi events, products and services that may be of interest to you. 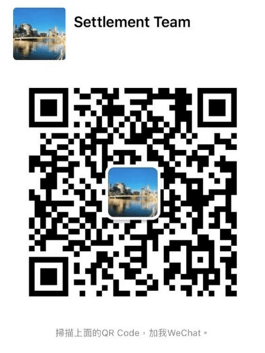 Hengyi needs your personal information to carry out these aims. Hengyi may use your personal information for those purposes, any other purpose listed on a collection statement at the point of collection or in any other way made clear at the time of collecting the personal information. HOW DOES HENGYI COLLECT PERSONAL INFORMATION? Hengyi may collect your information in person by sales and customer service staff, via its websites, social media pages, smart phone applications, phone calls and at display sites and other installations on paper forms or electronic devices (Collection Channels). Hengyi may also collect information from you if you provide products and/or services to Hengyi (Service Provider Channels), and this personal information is generally collected to assist obtaining the products and/or services from you. WHAT PERSONAL INFORMATION DOES HENGYI COLLECT? Hengyi collects the types of personal information required to assist with providing Hengyi’s products and services and informing you about them. This includes, through the Collection Channels, personal information such as your name, date of birth, phone number, email and home addresses and information to assist with Hengyi’s customer relationship management and market research functions, which may include information relating to your interests, experiences and preferences. For more specific contracting or finance purposes, Hengyi may collect through Collection Channels loan application information, financial / banking information, guarantor / next of kin contact details. Through Service Provider Channels, Hengyi may collect information about your employment or trading history and any business, company or related entity you are involved with. HOW DOES HENGYI USE YOUR PERSONAL INFORMATION? TO WHOM WILL IT BE DISCLOSED? Hengyi may use your personal information for the primary purpose for which it was collected, i.e. the purpose specified in a privacy collection statement through a particular Collection Channel or Service Provider Channel or the purpose that could be reasonably expected at the time the information was collected. Hengyi may also use your personal information for a secondary related purpose. Hengyi may disclose personal information to other entities in the Hengyi group of companies to help achieve one of the purposes described above or as required by law. In some instances, if you do not provide Hengyi with required personal information Hengyi may not be able to provide you with the requested product or service, allow you to participate in promotion activities or obtain the product or service you are offering. As a result, Hengyi may need to cease existing sales processes, suspend, cancel or renew a contract (subject to its terms and conditions and relevant laws), withdraw an invitation or offer or decline your entry into a competition. If you provide us with your personal information and you consent to receiving direct marketing communications from Hengyi, you authorise us to send you promotional messages and materials related to Hengyi’s products and services, unless you submit a later request not to receive direct marketing communications. Hengyi’s direct marketing messages and materials will contain a prominent statement (including, for electronic messages, a functional unsubscribe facility) that you may request not to receive direct marketing communications. The APPs set out some circumstances in which Hengyi is not required to provide you with such access. If you ask for your personal information and any of these circumstances exist, you may be given access to the personal information in a way that is permitted under the Privacy Act 1988. To protect personal information held by Hengyi, you may need to confirm your identity before access to your personal information is granted. It may take a little time to process your application for access and retrieve information from storage (if applicable). Hengyi encourages you to update us so that Hengyi has accurate, current and complete information. You may correct any errors or request that Hengyi deletes all or some of your personal information. You may also submit a request not to have any further contact from us. Yes. When you use Hengyi’s website(s) and/or App(s), Hengyi or its IT service providers may obtain information using technologies such as cookies, tags, web beacons, and navigational data collection (log files, server logs, and clickstream data) to better understand your user experience. For example, Hengyi or its IT service providers may collect information like the date, time and duration of visits and which webpages are accessed. This information is generally not linked to your identity, except where it is accessed via links in Hengyi e-message or where you have identified yourself. Hengyi may use knowledge of your user experience to better understand what products or services may be of interest to you. If you have a complaint in relation to the collection, use or and disclosure of your personal information, please contact the Hengyi Privacy Officer via the details provided below. The Hengyi Privacy Officer will review all complaints received and respond to each complainant upon due consideration (which may require further information to be provided).